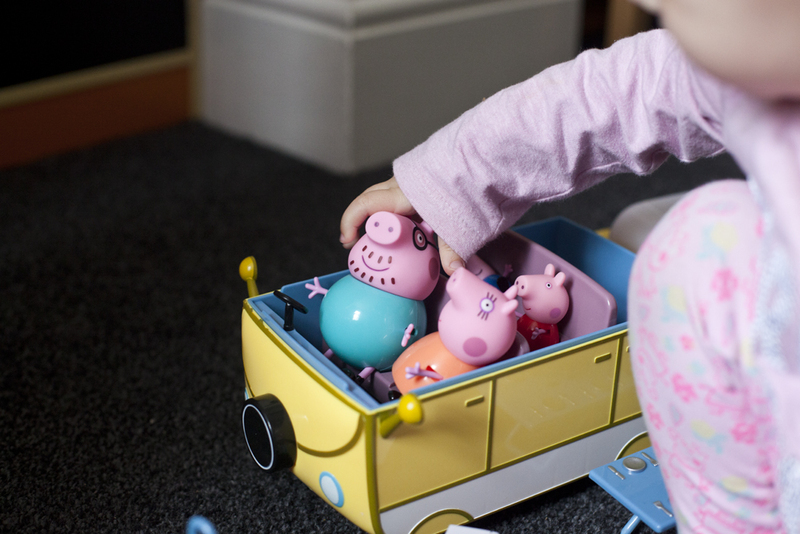 We were delighted to get to review the Peppa Pig Camepervan from Character. Lily has always been such a big Peppa Pig fan, in fact for quite sometime she was obsessed by it. This was definitely a must have toy for Lily with her being such a big Peppa fan. When it came we were both excited at how good it looked. The Camervan was quite big and Lily was excited to see her 4 favourite characters. 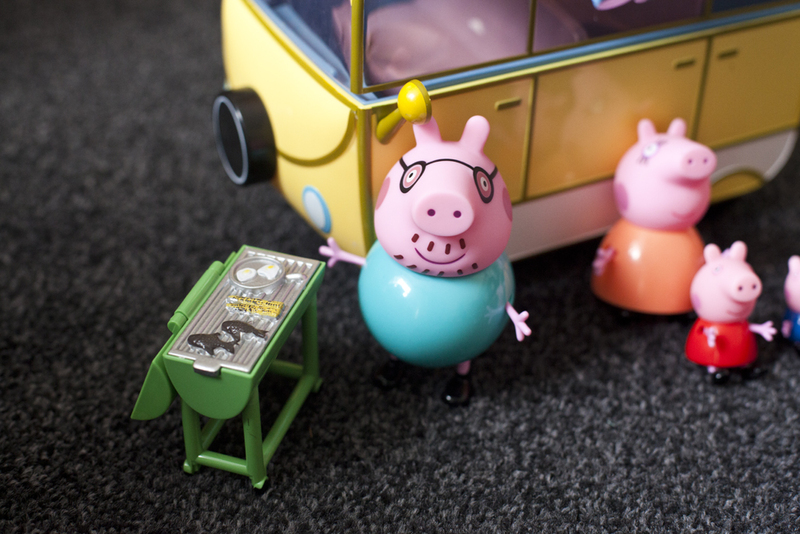 Mummy Pig, Daddy Pig, Peppa and George. As soon as we got it out she gave them all a big cuddle. The set is great as the campervan and characters are just as you would see on the TV. 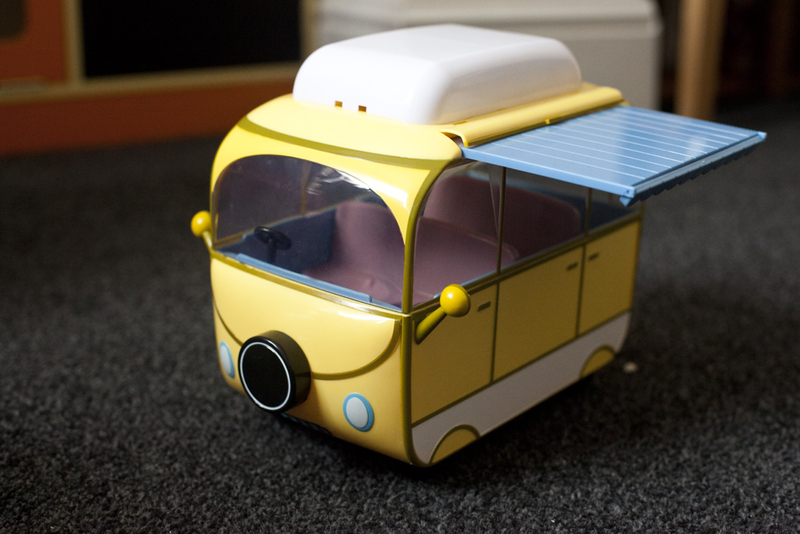 The campervan is excelent with the detail and is the same bright yellow that it is on the show. It wheels along so smoothly and it comes with a removable roof so you can put the characters inside and take them along for the ride. When you put the roof back onto the campervan you can then wind a wheel at the back which brings out a blue canopy. Perfect to lay a picnic table out for Peppa to have some food. The set comes with a little table, and barbecue. Which has great little details on it with food and plates on top. It also came with a shower which is the perfect addition to any campervan so then after there muddy or sandy adventures they can get washed down. The figures are also in great detail with daddy pig wearing his glasses and having his beard and each one of them having there rosy red cheeks like they do on the show. The great thing about this toy is how wonderful it is for the imagination. 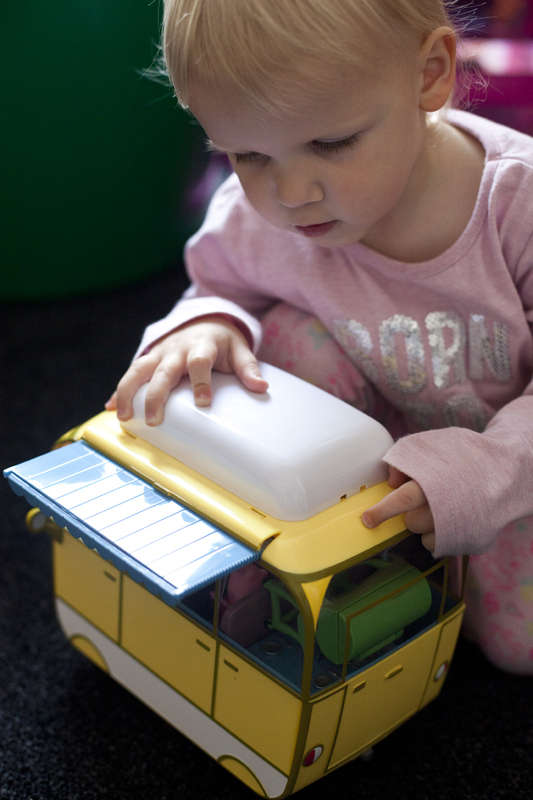 Lily got straight to it and was saying the names of the characters as she put them into the campervan and even making num num noises as she pretended to make them eat the food. She loved the shower the most and kept putting the characters under it and making a water sound as they got washed. It was lovely to see her playing by herself in her own little Peppa Pig world. The characters are all really easy for her to hold, but she did get frustrated at the fact the characters wouldn't stand and daddy pig wouldn't sit with out falling over. But Lily is easily frustrated by things like this where as other children may be not. They are quite easy to sit in the seats of the campervan though as there are shapes cut out for them to sit in. The seats are removable and at first feel like they wont come out but give them a pull and they will. You can then place them outside of the campervan for the characters to sit on. The other thing that is great about the campervan is that it it has a little storage part at the back where all the items like the table (which collapses down) can be stored. They all fit in and you are still able to put the top of the campervan on. Its great that you can keep all items of the campervan toggether and Lily can imagine she is taking them all on different holidays with all the camping gear. Lily did struggle to put the top of the campervan back on and this was something that mummy had to help her with but I think a child a little older than Lily would do fine with it. As always all toys come with a learning aspect to them and so this toy is perfect to help develop that imagination and also help with language skills as you hear your child making conversation with the characters. Lily loves this toy and has had it out most days to play with. 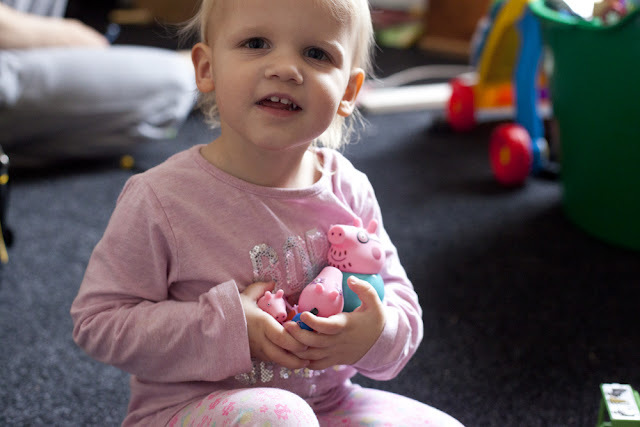 She has been loving pushing it around the house and being able to play with her beloved Peppa. The toy is RRP £29.99 and for the price of it I would say it has plenty of play value. Its not a toy that your child will get bored of. With imagination the sky is the limit with this toy. The toy is aimed at children 3+ and you can see the full collection on the character website. 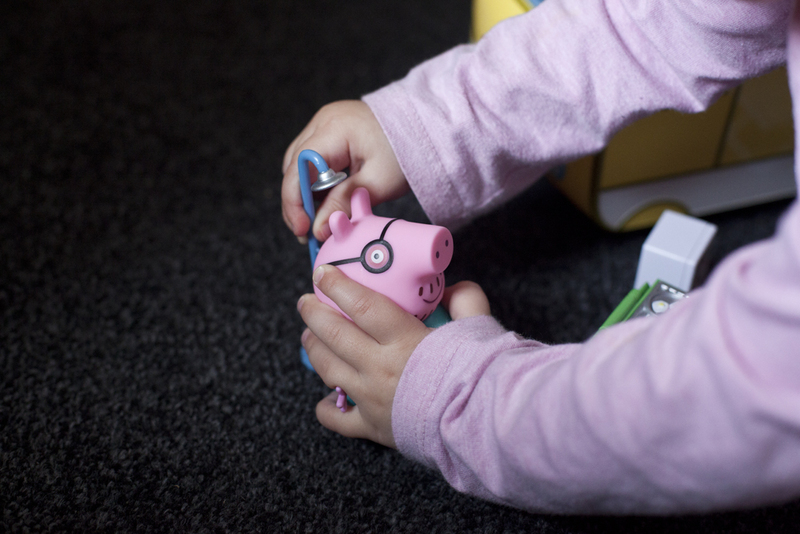 Is your child a Peppa Pig fan? Would she love this Campervan? My granddaughter would enjoy this as she likes making up her own little adventures! I might have to hide this post from my daughter. Otherwise, I'll never hear the end of how much she wants it. 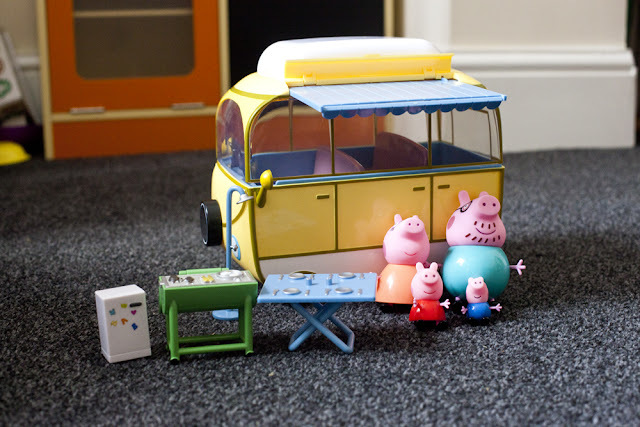 my granddaughter is a fan of Peppa Pig and would love toys like this which can be used for imaginative play.